If you follow me on twitter or instagram, you know I was hanging out at the Gold Cup this weekend. I had THE BEST TIME EVER. Everyone was tasked with pitching in some kind of food for the group and I of course volunteered cupcakes. I made classic vanilla cake with cream cheese icing. 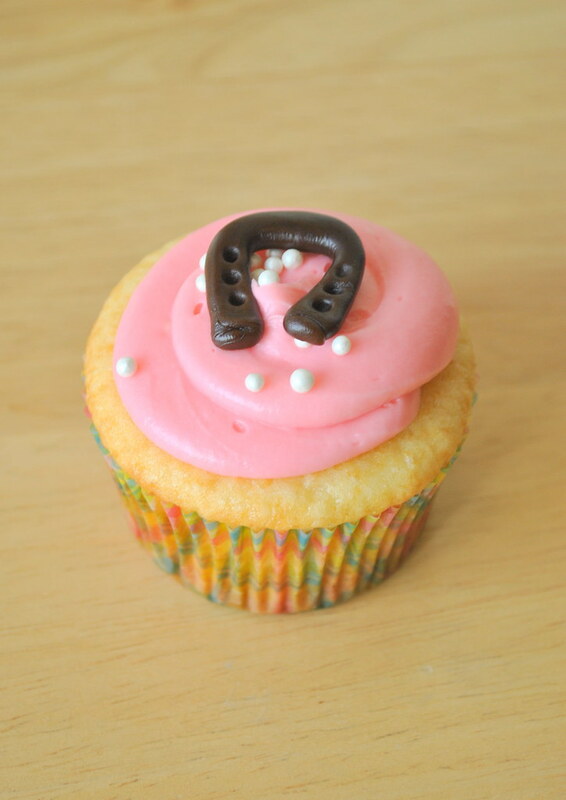 Pink dye with white pearls, preppy plaid pastel baking cups, and a fondant horse shoe were all the details that I felt were absolutely necessary. To make the horse shoes I rolled fondant into little logs (about the size of a pretzel stick) and then bent them into "U" shapes. I then pinched the tops of the "U" to get the fatter part and flattened them out with a rolling pin. Lastly, I used a pen cap to imprint little dots for texture. Time consuming? Yes. Worth it? Ehh maybe. Adorable? Totally! These look so great!!! I'm impressed! 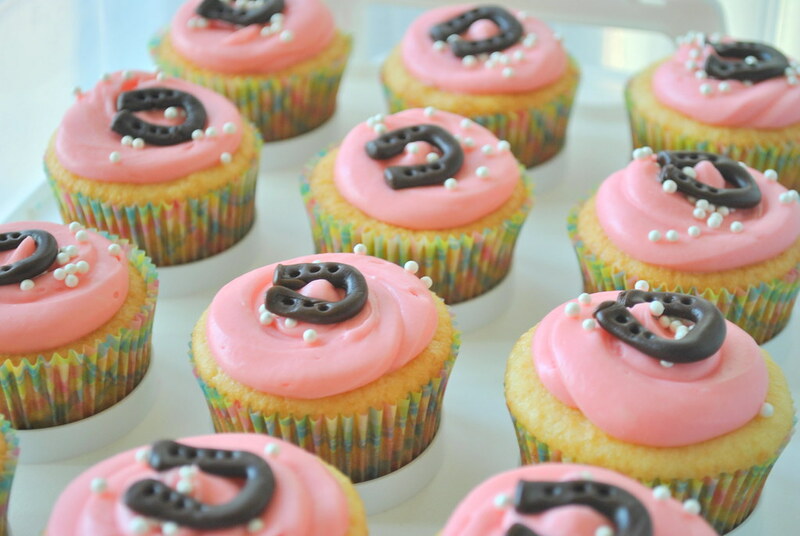 Super cute cupcakes! Perfect for the event! Um these are adorable! I want some! Those are adorable! I'm so impressed with your fondant work -- I'm scared to use the stuff! These look awesome and now I need a cupcake! Such cute cupcakes! And I love the new blog layout. Stop it. These are so cute! these look great! 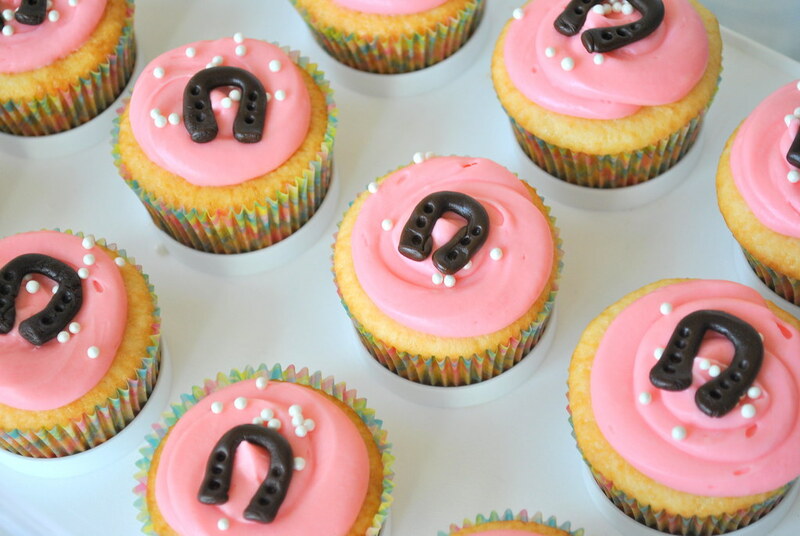 so cute with the little horse shoe! i couldn't go to gold cup this year but i would love to go next year, i hear it's a blast!